MyCRM Blog | PRESS RELEASE: - MyCRM launch a new range of services with prepaid offerings making CRM more affordable than ever before. MyCRM are to launch a number of cost effective bundles and fixed price services to enable the implementation of CRM to all businesses. With the introduction of GDPR regulation in May 2018, MyCRM find themselves as the advocates and helpers to business owners to drive business compliance, productivity and efficiency. With MyCRM’s shared knowledge and approach to implementation and delivery, now really is a good time to invest in Microsoft Dynamics CRM and help protect and grow your organisation through 2018. The team at MyCRM recognise that a number of businesses may be stuck or may have become paralyzed to the abundance and free flowing GDPR information, so MyCRM have set aside time to create some fixed price discount bundles that offer help to such organisations and give true help in a managed partnership delivery approach. MyCRM understands GDPR and the potential threat this new set of regulations brings to organisations that fail to comply with it. We know how Microsoft Dynamics CRM can alleviate some of the risk by providing the solution that ensures compliance around data and data management, and what’s more can improve the overall efficiency of business operations, helping increase productivity and growth. MyCRM CEO, Alistair Dickinson stated “Centralising and managing customer data in a single sourced system makes more sense now than at any time previously. GDPR rules dictate that this no longer makes for just common sense, but is now legally enforced and punishable by heavy fines of up to 4% of turnover. Our approach and belief is not to panic and by offering solutions to customers that create an effective way to ensure compliance with GDPR by making Microsoft Dynamics CRM more affordable than ever before, we know we can add real value with a cost effective approach. Now is a great time to consider organising your data as for the months of January and February, we are offering a number of new solutions to new and existing customers who wish to take a straightforward approach to implementation. MyCRM will in the next two weeks be launching its “My Steps” methodology to CRM success and along with its pre-packaged bundle offerings will help organisations deliver key compliance for GDPR and business growth. Mr Dickinson further explained “With a complete solution designed for Small Businesses (up to 5 users), prices start at just £6,290 for an annual subscription. In the Mid-Market, businesses with 25 users will receive a full 6 days of Professional Services to enable successful implementation whilst at the same time benefitting from an annual subscription that attracts a £9,000 discount compared to previous pricing levels. This enables Microsoft Dynamics CRM ownership and GDPR compliance for just £19,090 per annum for any 25 user business. These levels of discount are also available for larger deployments and where user numbers increase, so it’s worthwhile having a conversation to help you plan your 2018 requirements. What’s even more striking about MyCRM pricing for these solutions, is the fact that they are including as part of the package, several of their well-known and proven eProducts which enhance Microsoft’s standard functionality. These eProducts include; ePDF, eNumber and eTax, all of which add significant benefits to help improve end user functionality. MyCRM believe in keeping things simple and implementing Microsoft Dynamics CRM in the way that Microsoft intends it to be used by design. Whilst it can be easy to re-engineer to deliver functionality which is not out of the box, MyCRM don’t see this as good business practise. It is for this reason, keeping things simple and by design, that the GDPR solution packages can be realised at this price level. MyCRM have decades of combined Microsoft Dynamics experience, delivering solutions and product enhancements to more than 300 customers across 27 countries worldwide. Their extensive knowledge and practical approach combined with a customer first strategy helps deliver excellence and what they see as great value. Head of Sales, Mike Spink reiterated this by saying “Having worked for several major Microsoft partners over many years, I’ve often witnessed all sorts of incentives offered to try and attract customers. Most of the time these were simply a mash up of loading too much effort into a solution which was all too often over engineered or simply not in line with customer needs. Quite often this resulted in customer disappointment or confusion at being faced with the sledgehammer to crack the nut! What is most important is MyCRM deliver Microsoft Dynamics CRM solutions that our customers actually need and that will allow them to comply with GDPR and data management. Our highly transparent pricing delivers great value and offers customers much lower long-time cost of ownership. By including some of our most popular eProducts as part of the overall price, not only can we provide great discounts, we see this as a way to reward long term customer loyalty. The approach of MyCRM is very much customer first, technology second. Having a great understanding of how to implement key elements of good CRM practice, working in partnership and being able to offer off-the-shelf plugin extensions in a pre-made package, only increases the value add offered. History shows us that great companies are born out of efficient processes and great planning. You can look to Henry Ford, J.P. Morgan, Walt Disney and even Charles E. Merrill the founding partner of Merrill Lynch to understand that these and many organisations like them all have a common approach though their given inception stories. The common approach being understanding how to offer a solution to help others benefit from the offering. MyCRM are taking this approach by offering solutions to business owners that can help and benefit, together we all succeed. Mr Dickinson went on to say “GDPR is happening and it’s just around the corner. We can help organisation comply with it and can certainly help to alleviate the stress of what I’m beginning to see as a mild panic amongst business owners. The clock really is ticking now and when GDPR becomes law on May 25th it will be good to know that MyCRM has helped its customers not only comply in key areas, but at the same time improve their overall business efficiency and ultimately their growth prospects”. MyCRM is now in its 9th year of trading and has seen continued growth and profits, we continue to innovate, design and work with customers around the globe to offer a unique, friendly and honest service. 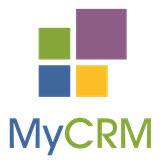 MyCRM is a privately owned limited organisation registered and based in the UK, with over 300 customers located in 27 countries around the world.